Did you know that some people are more susceptible to cavities than others? If you find yourself with cavities, even with regular brushing, flossing, and dental care appointments, you might be one of them. Here, Diane M Evans DDS of Monroe, NY, explains why some people are more likely to develop cavities than others—and what can be done to help. Bacteria: One of the primary tooth decay risk factors is oral bacteria. Cavities start when these bacteria build up on your teeth, creating plaque and acids that damage the enamel. Every person’s oral bacteria makeup is unique, so if you have a higher level of damaging bacteria in your mouth, you may be more prone to cavity development. Diet: If you ingest a lot of sweets and sugar-laden carbohydrates, you are essentially feeding the cavity-causing bacteria in your mouth. A high intake of acidic foods and drinks can also be harmful, as these impact the protective enamel coating your teeth. Dry Mouth: Saliva is essential for neutralizing the acids that break down enamel. If you suffer from dry mouth—for instance, due to a medication you take—you may get many cavities. Genetics: The teeth towards the back of your mouth that you use for chewing have small fissures on their surfaces. These tiny cracks are the perfect place for food and bacteria to get stuck. Depending on your genes, you may have deeper fissures in these teeth, which could impact your chances to develop cavities. 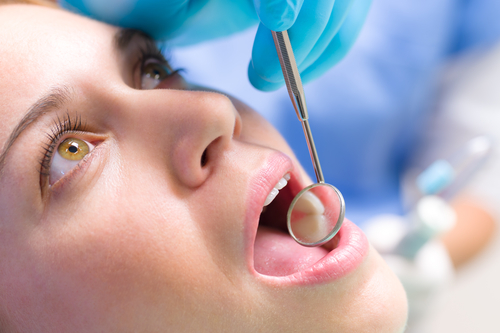 Medical Issues: Medical issues completely unrelated to your dental care can also affect your odds of getting a cavity. Gastro-esophageal reflux disease (GERD) for instance, can create a high acid environment in your mouth, again making you a more susceptible victim to cavity-causing bacteria. So if you’re more prone to cavities, what can you do? First off, address the issues you can easily fix, such as your diet. In addition to daily dental care, you may need regular visits to the dentist for a professional teeth cleaning and cavity checks. If you’re looking for a family dentist in the Monroe, NY, area, consider Diane M Evans DDS. Serving both children and adults, Dr. Evans offers warm and attentive dental care in a welcoming environment. Visit the website or call (585) 321-1460 to request an appointment.